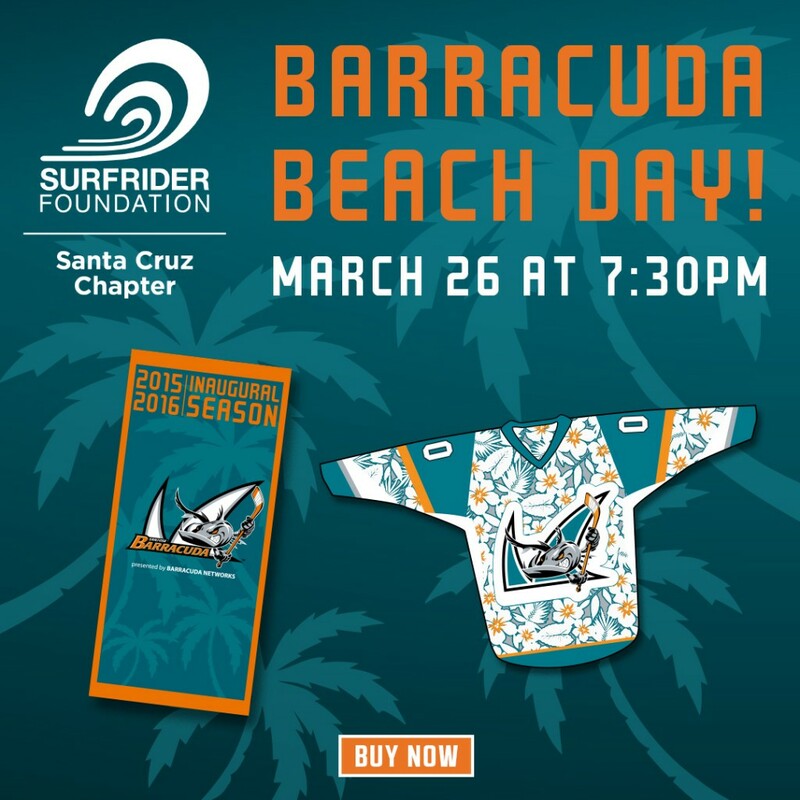 We hope to see everyone out for a benefit for an awesome night featuring Surfrider Benefit: San Jose Barracuda vs. San Diego Gulls. They will be auctioning off a custom jersey with all proceeds going to Surfrider Santa Cruz Chapter! Get tickets here! Promo Code: Surfrider for discounted tickets!